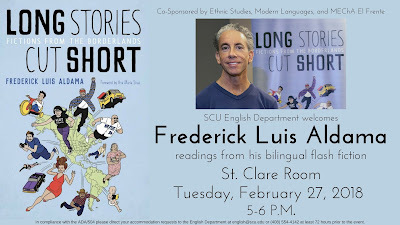 On February 27, 2018, writer and scholar Frederick Aldama will be reading from his book of bilingual flash fiction Long Stories Cut Short: Fictions from the Borderlands (Camino del Sol) at Santa Clara University. Long Stories Cut Short exists in that borderland space where fact frictively rubs up against fiction in the lives of Latinx peoples. From Xbox videogamer cholo cyberpunks to philosophically musing Latinx tweens and undocumented papás and romancing abuelitas, these dynamic bilingual prose-art creative flash nonfictions probe deeply the psychological ups and downs of Latinxs surviving a world filled with racism, police brutality, poverty. These flashes of creative nonfictional insight bring gleaming clarity to life lived for Latinxs across the Américas where all sorts of borders meet and shift. 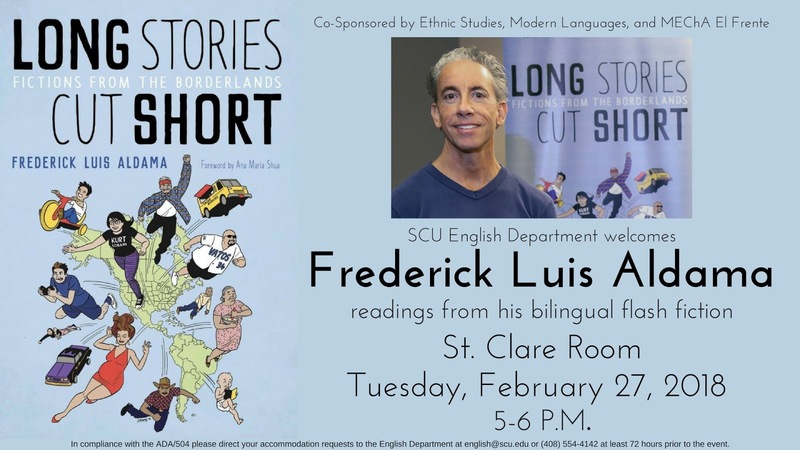 Frederick Luis Aldama is Arts & Humanities Distinguished Professor of English, University Distinguished Scholar, and University Distinguished Teacher. He is the author, co-author, and editor of over 30 books. He is editor and coeditor of 8 academic press book series. He is founder and director of the Ohio Education Summit Award and White House Hispanic Bright Spot winning LASER/Latinx Space for Enrichment & Research. He is founder of the Humanities & Cognitive Sciences High School Summer Institute. 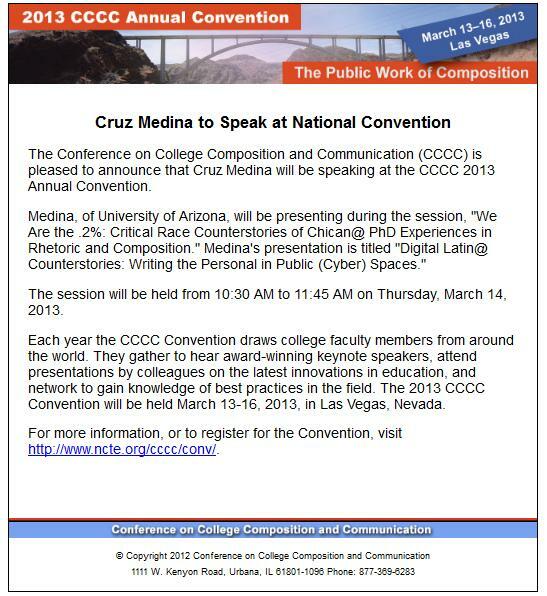 He has been honored with the 2016 American Association of Hispanics in Higher Education’s Outstanding Latino/a Faculty in Higher Education Award. In 2017 he was inducted into the Academy of Teaching as well as the Society of Cartoon Arts.